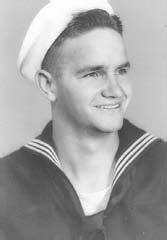 Don H Burdick served in the US Navy from January 1953-January 1957. He served aboard the DDE USS Saufley based at the US Naval Base, Key West, Florida. This Korean Era Veteran is also listed on the Veteran's Memorial in Graham, Young County, Texas.